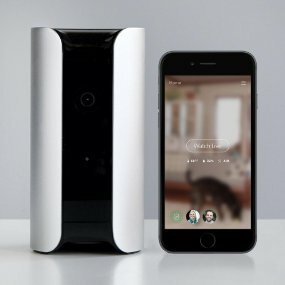 Canary vs Piper nv Security System - which is the best nanny cam? Canary vs Piper nv Security Systems – Who Wins? 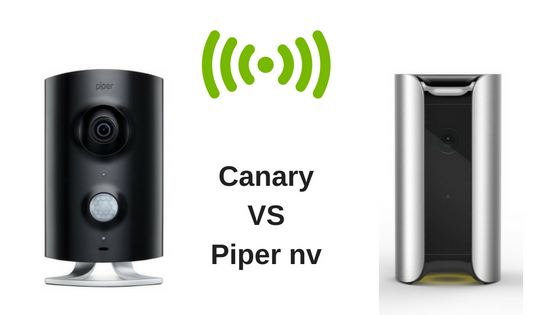 With home security and home automation being such important topics right now, it is inevitable that the Canary vs Piper nv Security System debate would rear its head. This is because both the Piper nv Smart Home Security System and the Canary All-in-One Home Security Device are recent releases and they are fairly similar in their appearance. There are however, some distinct differences between these two home surveillance cameras or nanny cams, which as you will see, will give one of them an edge over the other as both a nanny cam and a home security camera. Let’s start off looking at the similarities between the Piper NV and the Canary and then we will enter the Canary vs Piper nv Security System debate. Canary vs Piper nv Security System – what are the similarities? Works on Android and iOS mobile devices. Does not work via a web browser. Even though both the Piper nv and the Canary have the above similar features, some of them are slightly different. For example, with the siren, the Piper nv automatically switches on the siren if it detects sound or motion (according to your settings). On the other hand, the Canary sends you a notification of these alerts and you then have to manually switch on the siren. With both the motion and sound detectors, the Canary learns what to ignore and what to report and this takes time, so you can have lots of false positives in the first few months. With the Piper nv, you can change the settings and tell it what to report and what to ignore right at the start. You can see some of these differences in the table below the next section, where I discuss the key differences between these two home security cameras. 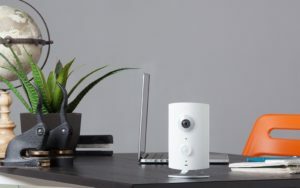 So let’s continue with the Canary vs Piper nv Security System debate and look at the differences between them, depending on whether you want a nanny cam or a home security camera. 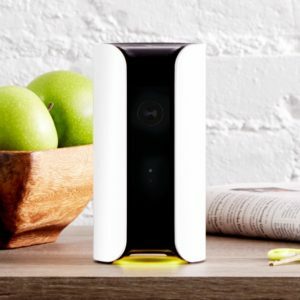 Canary vs Piper nv Security System – nanny cam differences? If you want to use your security camera as a nanny cam, then there are a few features that you might really want in a nanny cam, but which are different between the Piper nv and the Canary. These are: 2-way communication, video recording and downloads, and sound detection. The Piper nv has 2 way communication, but the Canary only has one-way audio. This means that with the Canary you can hear what is happening at home, but you can’t talk to them. With the 2-way communication offered by the Piper nv however, you chat to your children or elderly relative at home, and even chat to your pets if they are home alone. 2-way communication is usually an important factor in a nanny cam, although some customers have said that if they want to talk to anyone, they can simply phone them! With a nanny cam, you usually want to record videos of special events or memorable occasions to keep as mementos or share with friends and family. You can do this with the Piper, but the Canary only records 30 second breaches in security. Also, the Piper nv Smart Home Security System lets you download as many videos as you want, whilst the Canary gives you 3 downloads and then you need to upgrade your plan. With children at home or a baby in the nursery, it is really nice if you can be alerted when they wake distressed, so you can comfort them, even though you can’t be there with them. With the Piper nv, if your baby cries or your children call out, you can receive instant notification, but not with the Canary, because it doesn’t have sound detection. 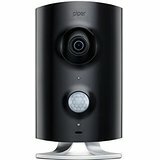 As a nanny cam, in the Canary vs Piper nv Security System debate, the winner has to be the Piper nv Smart Home Security Device. Canary vs Piper nv Security System – home security differences? If you want to use either of these devices as home security cameras, rather than as nanny cams, then there are three key features that are different between them. If an intruder breaks into your home or office, having a siren blast into their ears is just about guaranteed to set them off and running. The problem is that whilst both of these security systems have a siren, only the Piper nv has an automatic siren. This means that with the Piper, the siren is automatically switched on when your security is breached, as well as sending you an alert notification. With the Canary All-in one System however, you receive the notification first and then you have to manually turn on the siren. With the Piper nv, you can also set the siren to go off a certain number of seconds after you receive an alert notification, just in case it is a false alarm. For a security system, having a siren is a great feature, but whether an automatic siren (with customizable settings) or a manual siren is best for you is something to consider. If the power goes out you would want the unit to power up again and if your security is breached, you would want the unit to rearm. Both of these are in-built features of the Piper nv, but not with the Canary. To be more specific, the Piper nv Smart Home Security Device automatically rearms after a security breach, but it does take 15 seconds to do this. During this 15 seconds, the camera is not recording, but you can manually rearm it remotely before the 15 seconds are up. The Canary All-in-One Security System has to be manually powered up and reset, so if you are away in another State or you have installed the Canary in your holiday home, you have to physically go there to switch it back on and rearm. This can be a huge problem and is an upgrade that we hope the manufacturers include in the next model. Since the Piper nv works with the Z-wave technology, it can integrate with any compatible devices. So window and door sensors are popular add ons, as well as power switches and dimmer switches. The Canary only works with the WINK app and so whilst there are no comparable security add-ons, you could connect other WINK compatible devices to your home automation. For example, thermostats, door locks, appliances, irrigation systems, garage doors and lights. As a home security camera, in the Canary vs Piper nv Security System debate, the winner has to be the Piper nv Smart Home Security Device. Canary vs Piper nv Security System – which is better? Before I give you my final verdict, there is one more feature that I feel is important to both nanny cams and home security systems, and that is battery backup. If the power goes out or an intruder pulls the mains power out of the security camera, then you have lost any chance of recording the following events. Only one of these two security devices has a battery backup and that is the Piper nv. So for this an the other differences I have outlined above, I feel that the Piper nv Smart Home Security Device wins the battle, as both a nanny cam and as a home security camera. 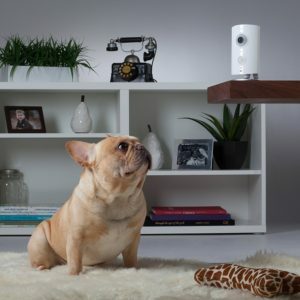 in the Canary vs Piper nv Security System debate, the winner for both a nanny cam and a home security camera is the Piper nv Smart Home Security Device. Read more featured articles here.